Lise's books are available from (or can be ordered by) all major booksellers. A couple regional bookstores that have been especially supportive of Lise over the years include The Red Balloon Bookshop in St. Paul, MN and Redbery Books in Cable, WI. Trolls! They are huge and ugly and very, very dangerous. But luckily, their brains are no bigger than a walnut, so even small children can trick them. Ancient names come to rich and fascinating life in this lavishly illustrated gift book for mythology fans and word lovers. He is the biggest and mightiest of the gods. If he tightens his belt, he doubles his strength. If he swings his hammer, lightning flashes. We all know the story of Noah building the ark. Who would have guessed, though, that his woolly friends aboard the ark would help him make his most delightful discovery? Selkies, fairies, gnomes, hill folk, river sprites—do you believe in them? When they went into battle they wore no costly armor, just birchbark wrapped around their legs, and so they were called Birkebeiners, which means "Birchleggers." The lady slipper grows in the northern woods to mark the courage and strength of a small girl who lived there long ago. 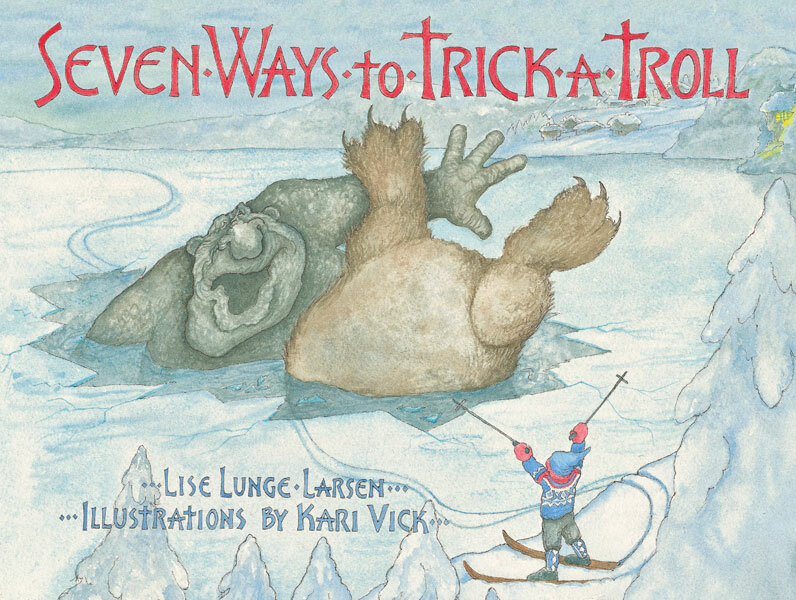 As tall as trees and as ancient and rugged as the Norwegian landscape from which they come, trolls are some of lore's most fascinating and varied creatures. Lise contributes to this book celebrating the birch tree and dedicated to North House's first ten years. Celebrating Birch features the collective efforts and talents of over twenty artisans, integrating elements of ecology, craft and cultural history into an inspiring journey of hands-on discovery. "Woman of the Wood" and "The Myth of Echo"